← Do you know the critical pedagogies? 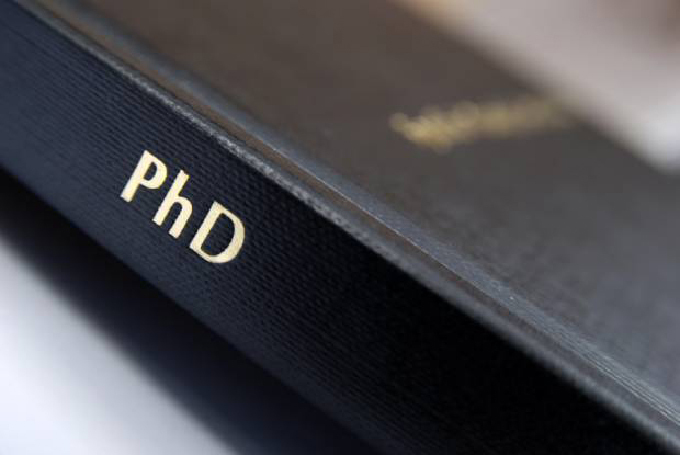 Should a PhD be hard? Of course a PhD is “hard” – as in it “has a high difficulty setting” and also “is a lot of work”. It is three or more years of creating new knowledge, after all. But how “hard” should it be, and what kind of “hard”? In my work teaching research and writing skills at La Trobe University, students talk to me about their worries about finding their PhD “hard”. But these concerns tend to mean one of two very different things. The first group of students worry that finding their PhD hard means that they are not smart enough, that they will not finish and that they do not belong in the PhD programme. These students typically were excellent students in their school, undergraduate and coursework studies, and while they may have had to put in a good amount of work, they were not totally challenged. Part of the reason they are doing a PhD is because they are looking for a real challenge, but it is also a bit of a worrying shock when they realise they maybe do not know what they are doing and do not really understand the material. This kind of student does not necessarily have a lot of skills in their tool box for when learning becomes “hard”. Perhaps they just “get” maths or poetry or writing, and are used to being considered smart for work they find quick and painless to complete. They are used to turning in work that is praised and given excellent grades. But once they hit the messy, ugly, uncomfortable bits of the PhD, where multiple failures and lots of negative feedback is normal, they worry that they do not have the tools to deal with it. A typical example of this kind of student is the international student whose first language is not English. As I have argued before, this kind of student does face a challenge, but that challenge does not have much impact on their passing rate or completion time. It is a challenge that, with some work in boosting their confidence, can definitely be overcome. The second type of student is really struggling. They are finding the PhD tough for the wrong reasons. Some research cultures are, frankly, toxic: early mornings, late nights, few holidays, no weekends, not taking sick days, no time off for families or friends, or sitting and thinking under a tree. The long hours are enforced by surveillance, micro-management and bullying. People who do not “fit” or who “are not fit enough” are forced out. People with young children, a disability, or ill health are told (explicitly or implicitly) that they probably are not cut out for a PhD. This kind of toxic culture can be created by an ambitious supervisor, or by a peer group of students who decide their way of researching is the best way. Or it can be created by institutional structures. The university’s policies for making accommodations, taking leave, giving scholarships, processing visas etc. can be unintentionally clunky, or intentionally punitive and strict. And these three cultures of power often intersect and impact PhD students. For example, a pushy supervisor recruits and retains a group of students who match their idea of what a “good” student is, around whom the university structures their progress policy. In this kind of situation, the student who feels excluded and tries to complain often finds themselves being treated as the problem, as Sara Ahmed and Inger Mewburn have both shown in different ways. A PhD is not examined on whether you are physically strong or a quick thinker. There are no pop quizzes or exercise drills before you graduate. A PhD is about sustained intellectual engagement, creating new knowledge and contributing to the community of scholars in your field. This is achieved through an extended work of academic writing, and (perhaps) presenting your work verbally to others. • If you keep persevering, and learning, you will probably succeed. In the work I do I often meet students who are worried they find the PhD hard, in both senses. I know that both kinds of students can complete their PhDs and make a difference to the world.